Investigators have bodycam footage from the officer, authorities said, as well as surveillance footage and witnesses. 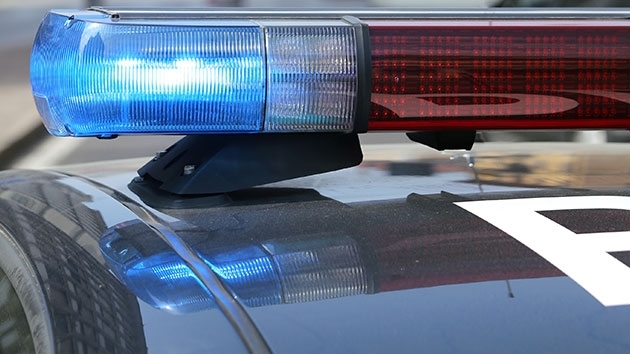 WASHINGTON — An officer was hospitalized and a suspect is being sought after a police chase and shooting Thursday afternoon in Seat Pleasant, Maryland. Prince George’s County police’s special investigation response team is handling the incident, Seat Pleasant Chief Devan Martin said hours later. It all began around 3:45 p.m., when the officer made a traffic stop on Central Avenue near East Capitol Street by the Capitol Heights Metro station. “The vehicle immediately fled from the officer on his approach to the vehicle,” Martin said. A chase ensued, and ended for a time on Dade Street, which is a dead-end road. It was there, Martin said, that the officer fired his weapon more than once. The suspect was able to turn around, get back onto Maryland Park Drive and escape. A firearm was recovered at that scene, Martin said, and investigators are trying to determine if it’s connected to the driver. Investigators have body-cam footage from the officer, Martin said, as well as surveillance footage and witnesses. The suspect’s vehicle was found and recovered on Friday in Northeast D.C. Police are still working to identify and locate the driver, and they do not know if the suspect was hurt in the shooting. The officer was taken to the hospital, but Martin said he hadn’t appeared to sustain any serious injury. Anyone with information on the shooting should call 301-856-2660.